Express Entry is now live . My first experience accessing the representatives portal was actually very positive. I must admit that I was a little nervous with what to expect given CICs past track record rolling out electronic filing systems. In the past, it seemed as if CIC pushed for the release of the electronic filing systems before they were fully beta tested. In essence, they used you and me to identify the glitches in the system and then took our “negative feedback” back to the engineers to fine tune the bugs. Well, I have to give credit where credit is due. Unlike previous experiences, this time I was pleasantly surprised at how smoothly the system worked. I was able to get my client’s profile completed in very little time. The “timing out” issue is still a reality, but I did not find the same level of glitchiness moving back and forth between screens and jumping between family members. However, it is not a “truly perfect” system. I will touch more on this below. Now after having extolled the virtues of navigating the Express Entry portal, I want to focus on the real purpose of this blog….and that is to try to protect all of you from making some serious errors as you rush to get your profiles filed. 1. Language Testing is Critical. Without an official language test from either IELTS or CELPIP (CIC’s designated English language assessment centres) you will not get past the gatekeeper wizard to even begin completing your profile. Your language scores must be in hand at the time you start the initial screening process. If you don’t have the scores in hand, don’t waste your time even starting to fill out the first few questions because you will be blocked within the first few screens. Also, you must remember that CIC does not like the old CELPIP-G tests now. You must be writing the CELPIP – General 2014. If your CELPIP exam does not clearly state CELPIP- General 2014, you will know you are in the right ball park because the drop down options the EE portal gives you will correspond to your scores. If you have not yet taken an English Language Test, you are going to be in for a little wait because testing sites have been filling up like crazy in the last few months. You will likely be hard pressed to find a testing location that can get you in within the month. You are likely not going to be eligible for consideration in the first draw which takes place at the end of January. You will have to wait until you have the test results before you can finalize your profile for submission. 2. LMIAs rule the Express Entry world. 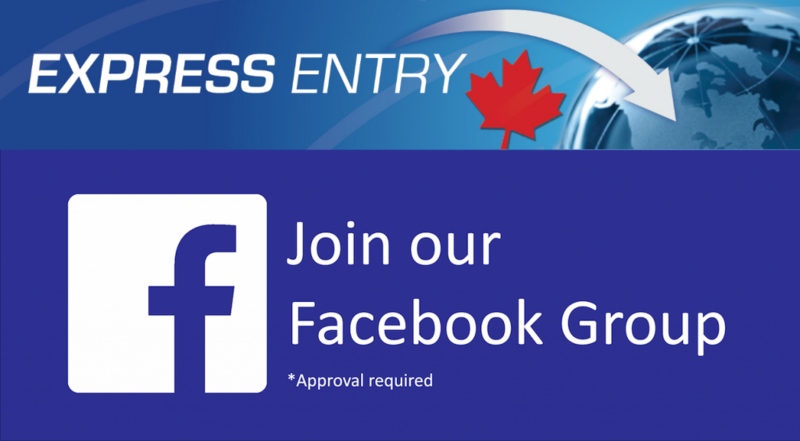 As you have now likely seen from the Comprehensive Ranking System (CRS), anyone holding a job offer confirmed by a regular or permanent LMIA will most assuredly be given an Invitation to Apply (ITA) for permanent residence in Canada. With this being said, do not think for a minute that just because you do not hold one now, there is no point in apply under Express Entry. Although job offers supported by an LMIA accumulate 600 points towards the maximum 1200 within the CRS, CIC has indicated repeatedly that they anticipate drawing individuals with high human capital and no LMIA in the beginning draws. At this stage my best advice is to go ahead and submit your profile if the wizard lets you and then work with your current employer to obtain an LMIA or if you are currently outside of Canada, work within the Job Bank to get your profile completed so that you have the possibility of being matched with a Canadian employer who may be willing to obtain a PLMIA on your behalf. CIC treats the regular LMIA and the PLMIA the same for the purposes of Express Entry. Remember that you can always update your profile to “legitimately” enhance it at any time while you are floating in the pool. I say legitimately enhance because there are definitely ways to fraudulently enhance, as can be seen in my next tip, …with far reaching consequences. 3. Don’t you dare misrepresent anything on your application. Language Scores – if you didn’t do so well on your first test, but have an appointment scheduled to sit the test again, do not take the chance of guessing what your new scores may be before you actually have the results in hand. Both you and I know that if your CRS score is a little lower the temptation to give it a pre-emptive boost will be overpowering. Especially when you have been studying really hard to improve your language scores. However, you never know when CIC could dip a little lower into the pool and pull you out before you have had a chance to sit the new test. If CIC extends an ITA based upon the scores you “creatively calculated”, you will be in for some real trouble trying to explain why the test results you actually have do not match up with what you put on your profile. At best you could be bounced from the Express Entry pool and at worst, you could be the subject of misrepresentation allegations from CIC which could carry with them an up to 5 year bar and removal from the country. Educational Credentials – it is likely obvious by now that you do not need educational credentials to qualify under Express Entry. You can qualify for the Canada Experience Class on skilled work experience and language ability alone. However, if you are competing against other candidates for the last remaining CEC spots, those with solid educational credential assessments will often rank higher than those without. As such, some may decide to artificially bolster their stated education in the beginning iso that they will rank high enough to be drawn through the CEC category while hoping all along CIC will never ask for the actual ECA report or school transcripts. If you are thinking this, just don’t. It’s not worth it. CIC will only recognize education that is supported by an ECA anyways. Further, you have to list the reference number for the ECA in the beginning and we really don’t know how CIC will check up on the reference numbers for the ECAs and Language test results prior to issuing an ITA. Don’t put it down unless you actually have the educational credential AND if you are actually interested in getting points for education, get the ECA done now without any further delay. Work Experience – never forget that your work experience is based upon your actual job duties and NOT your title. Further, if you are relying upon certain work experience to improve your CRS ranking, you had better make sure that you can obtain a reference letter confirming what you indicated in your submitted profile. I can’t tell you how many times I have cross referenced an employer letter of support with a client’s completed intake questionnaire only to discover that the employer is describing the position of the foreign worker in a completely different fashion than the candidate. Get the reference letters in hand first and make sure that everyone is on the same page. 4. Don’t trust the Express Entry wizard. You will discover really quickly that if you fail to complete some sections of the Express Entry profile, your “Status” for that section will read “In Progress”. If the section is complete, it will read…..no surprise here: “Complete”. This is all well and good; however, I noticed a glitch in the system where in some cases, the Status read “Complete” with a nice vertical row of green “Completes” for each form when I knew for a fact I still needed to add in some additional information. In my case, I needed to have my client provide me with the “issue date” and “expiry date” on the LMIA we were using to support his job offer. I had not yet uploaded that information into the system but according to the not so smart “Express Entry” Wizard, everything was done and the application was ready to submit. The glitch also pops up when you click the: “Check for Completeness” button at the top of the form. Imagine what would have happened if I trusted the wizard and submitted the application without the LMIA information. The consequence to my client would have been 600 points less on the CRS and undoubtedly a long swim in the EE pool until the error was eventually discovered and corrected. Remember, CIC has stated that “at least in the beginning” every candidate with an LMIA will be given an ITA. The last thing in the world I would ever want to do is try to explain to the Law Society of Alberta that my client was prejudiced NOT because of my incompetence but because CIC assured me I could trust the Express Entry wizard offering advice and direction behind CIC’s virtual curtain. I might as well dust off my Scarecrow costume from the Wizard of Oz and start singing “If I only had a brain,” because my future livelihood wouldn’t be coming from practicing law, that’s for sure. So the moral of this story is that you need to carefully go through each of the forms once, twice, and maybe even three times just in case, so as to assure yourself that what you are filing is “really” complete. 5. Get someone you trust to proof read your profile before you submit it. Finally, it doesn’t matter who you are; a foreign national with a Ph.D. in Astrophysics, an immigration lawyer with 20+ years of experience, or a food counter attendant at McDonalds submitting their own Express Entry profile, no matter who you are, never, ever submit your profile without having someone you trust give it a quick review. I’m sure we have all been in situations where we have written a paper for school, proof read it three times and then submitted it only to have our teachers identify 4 or 5 typographical errors we somehow missed. I see this all the time with my own blogs. This goes the same for the Express Entry portal. Although many of the fields are “drop-down” type menus with limited “fillable form” fields, there is still plenty of room for us to miss things. When your future permanent resident status is at stake, you never want to take the chance you are “smart enough” to go it alone. Remember unlike the first-in, first-out system CIC followed previously, where applications would get bounced because they were incomplete, or the good old days when they would send nice deficiency letters asking for us to update the file with anything that was deemed missing, Express Entry will be a cruel overseer. If you make a mistake in your profile by selecting the wrong drop down item, or forget to insert your LMIA issue and expiry dates, there will be no one on the other end to point out your mistake. The CRS does not provide advice, it only assesses the data presented before it and then uses it to rank you against the raw data of another candidate. A head official within CIC once told a colleague, that they “don’t pay officers to think. ” The consequence of this mentality will become more readily apparent as people choose to follow CICs advice “that you don’t need to hire a lawyer” and instead trust the all powerful EE Wizard to tell them if their application is complete. Further, this new EE system has NO room for “discretion”. If you make a mistake that causes you to lose out on precious CRS points, the only time you are going to find out about it is when your waterlogged profile gets officially pulled from the pool after reaching the one year stale date. So at the very least, get someone to carefully review your profile. It would be ideal to have someone that actually has some understanding of the process (once again…..this is a shameless plug for our little firm) who can review your application in detail and make sure you have not: 1) misstated anything, 2) omitted something you should have included, or 3) failed to catch those naggy little errors that can be the difference between being granted an ITA from CIC or languishing in the pool for a year while you watch yourself cap out and head home on a plane in April. Ask us a Immigration Question! If you have general questions regarding the Express Entry process or any Canadian immigration matter feel free to connect with us through the “Ask an Immigration Question” portal on our website (ht-llp.com). For those who would rather leave a voice message, you can also do so on our website by clicking the “Ask an Immigration Question” tab on the right side bar. I will respond to these general question via our new “Canadian Immigration Answers” podcast available for download on iTunes. If you have specific questions and immigration problems that need to be addressed immediately, please contact our office directly to book a paid consult. 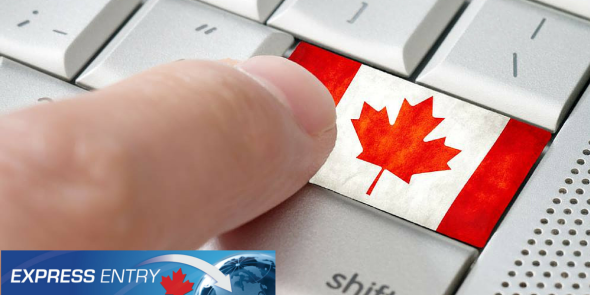 Stay tuned for future blogs on Express Entry and a wide variety of other Canadian immigration topics. 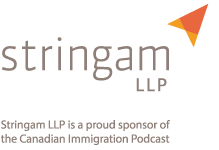 And don’t forget to sign up for our “Canadian Immigration Podcast” also available for download on iTunes. Mark is an x-immigration officer with Citizenship and Immigration Canada having worked on the Canada/US border. He is currently serving as an Executive Member of the National Immigration Law Section of the Canadian Bar Association and Immediate Past-Chair of the Alberta South Immigration Section of the CBA. He is a frequent speaker and educator on Canadian Immigration Law and Policy and regularly offers seminars and workshops to lawyers, consultants, and human resource personal related to the Temporary Foreign Worker Program and the transitioning of foreign workers to permanent resident status in Canada.